Helping our kids balance media usage is one of the big challenges of 21st-century parenting. Many of us have a child who is drawn to technology. These kids love screens. They tend to be our kids who love video games, apps, movies. If it’s a screen, they love it. But what happens when our child can’t balance their media usage? What signs indicate a child might be struggling with media usage? And, what are some strategies we can take to get our child back on track? If your child is waking up excessively tired, groggy, or grumpy in the morning for school or homeschool, begin exploring why. Does your child take their device into their room with them? Are they getting on late at night or waking up in the middle of the night to play a game, read, or check social media? An analysis published in JAMA Pediatrics showed a strong and consistent association between bedtime media device use and inadequate sleep quantity in kids. This analysis was based on studies conducted between January 1, 2011, and June 15, 2015 involving a total of 125,198 children, evenly divided by gender, with an average age of 14½ years. If your child is showing signs of sleep deprivation, check to see if they are using media late at night, or even during the middle of the night when they should be sleeping. Has your child lost interest in activities and hobbies they used to love? Has the time they spent on these activities been replaced by time with media? Normal shifting of interests can happen as kids grow. But if your child loses interest in all outside activities and instead is passively consuming media, it’s time to step in and offer some redirection. Does your child get angry and express real frustration especially when they’re disconnecting from a device or other digital media? Do they refuse to turn off their device or express extreme frustration if the parental controls time limits on the device times out on them? It’s normal for our kids to express frustration and anger on occasion. But, excessive grouchiness and full-on meltdowns all or most of the time can be a sign your child is struggling with their media usage. We’ve looked at the signs which may show our kids can’t balance their media usage. It’s hard, and often counter-productive, to simply take all media away from our kids. We really need to give them some skills so that as they become adults, they can self-monitor. We want to raise kids with a healthy perspective of technology and social media. That means we want to teach our kids to recognize when their media usage is out of balance. And, give them the skills so THEY can balance their media usage. So, what can we do as parents to get our child back on track? Many of us have a slight panic attack at the thought of not having a cell phone with us. It’s literally a part of us. Having a Device-Down Station is a good way of getting everyone in the habit of “unhooking” from their phone, even if it’s just for family dinner or a few hours of family time. Get your kids in the habit of setting aside their devices to charge in a device station. This way, everyone knows where their phone is and you avoid the panic flurry set off when a child misplaces their phone. Pro Parenting Tip: Establish a policy of all household devices in the Device-Down Station overnight. And, device pick-up once kids are dressed and ready for the day in the morning. This means devices are docked for the night and there is no temptation for 2am texting or social media checks. Family tech-free times help your child establish a healthy relationship with technology. And, there are many reasons to have tech-free times in your home. This statistic alone is one reason why I’m a huge advocate for device-free dinner times. A quick 15-20-minute device-free dinner can give your family some much needed time to connect about the highs and lows of each family member’s day. And be sure to put your devices away while driving and during family time. It’s important for parents to model the behavior and values you want in your home. Kids will be more open and willing participants when the house rules apply to you, too. Pro Parenting Tip: It’s not just safe to put your phone away while driving, car rides provide a great time to have conversations with your kids. 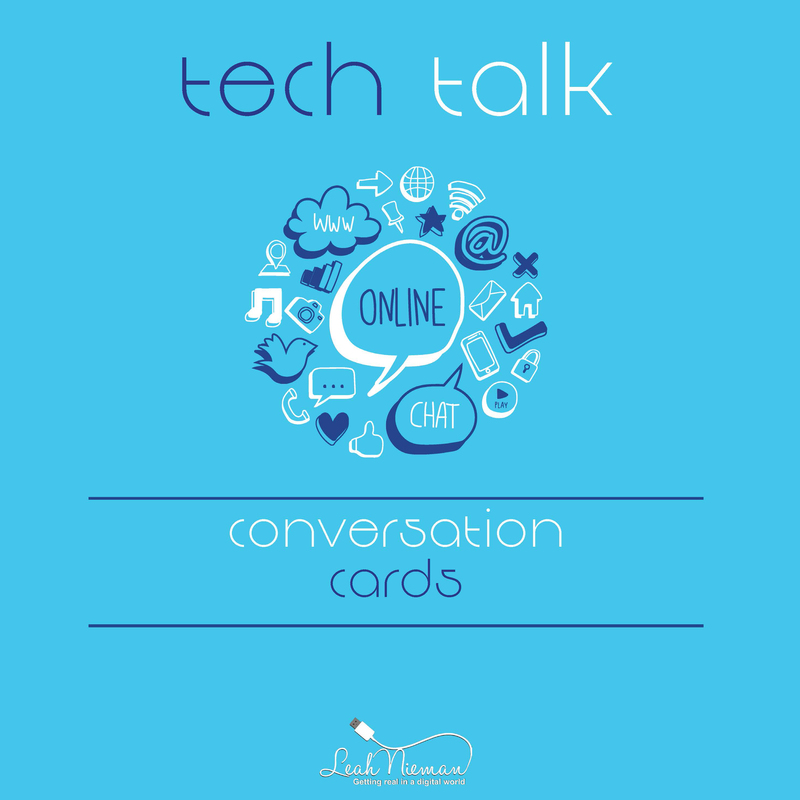 Make car rides family tech-free times and take advantage of the opportunity to talk to your kids. Encourage your child to take some of the time they are spending on media and put it into a non-tech activity. If your teen is struggling specifically with social media, suggest they take a break from one platform for a week or two. Remember, the goal is to help them grow and learn to self-monitor. Be sure your child knows taking a break is not a form of punishment. Instead, it’s about helping them step back and gain the skills they need to balance their media usage. Pro Parenting Tip: Your child may need your help and support as they find non-tech activities. Don’t pressure them into activities they used to love if they truly aren’t interested in pursuing them. Instead, help them find some connection to new interests. Every message and social media post does not require an immediate response. However, our culture tells us multi-tasking is a skill to be mastered. And while the ability to juggle tasks can be a good thing, multi-tasking should never prevent us from completing the task at hand in a timely manner. It’s important we teach our kids they don’t have to respond immediately to every text. Teach them when it comes to homework or a job, the temptation to check messages and social media can pull us off task. Have your kids set their devices aside when doing homework or any project. Teach them the importance of fully listening and being engaged in conversation with others as well. When we’re at an event, but being pulled away because we’re involved in a totally separate conversation happening via text or social media, that’s not good multi-tasking, that’s bad interpersonal skills. Show your kids how to handle this balance as this is a skill they’ll need for life. And make sure you are setting the example by modeling this for your kids as well. Pro Parenting Tip: Help your child learn it’s especially wise to give themselves room to process in situations where their feelings are hurt or someone texts them in anger. Just like a job, some days your child might need more screen time than others. Teach your kids it’s not so much about how much time they spend in front of a screen, but what they are doing while there. Encourage your child to be a creative, responsible consumer, not just a passive user. Ask questions to determine what your child really loves. Then, help your child find age-appropriate high quality media that supports their interests. Connect them with resources so they can gain new skills. And, show them how they can use those skills to help others in a real, practical way. Pro Parenting Tip: We would never tell our artistic child to stop drawing/painting so much. So, we need to be especially careful not to discourage our child who is truly learning, creating, and producing using a computer or other device. Our goal is to make sure they find balance. Note: If you notice significant negative issues with your kids’ use of media and technology (i.e. it’s harming their mental health, disrupting their relationships, or hurting their academic performance) beyond what you feel equipped to address, please seek the help of your pediatrician, a psychologist, or a social worker. I love the device down Station idea and the designated times for it! My guy struggles with this. Thanks for sharing. I think it’s hard to set boundaries for many of us. The device down station helps to create a healthy habit. I’ve even started using it in my office for times when I’m trying to write. I need uninterrupted times where I’m not feeling I have to respond to messages or calls. I’m so glad the post was helpful.